Yes, I do love gazing balls! And, I do have them strategically placed around our yard. Since we have a 2 1/2 acre yard, they are not tacky. ~grin~ They add just enough glitz to be very eye catching on a sunny day. In you look very close in the silver one you can see my reflection right in the middle while taking that picture. The silver one is my newest one, my Daddy gave it to me for my upcoming birthday. Love it!! Meet Donya! Donya is my step sister and she is multi-talented. 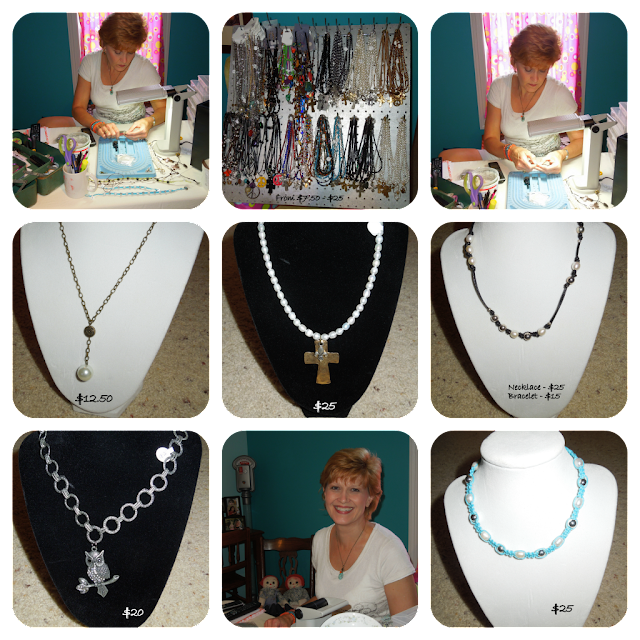 She is a teacher by profession and a vocalist and creator of jewelry by hobby. 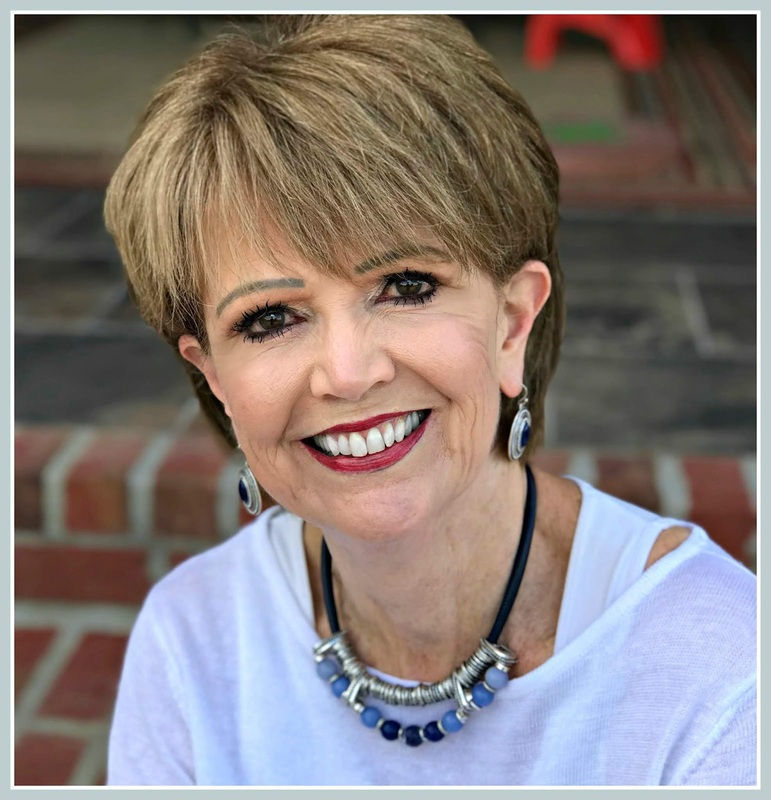 She has a wonderful room in her home where she is in her "happy place" and receives her inspiration for all the pretty jewelry you see above. 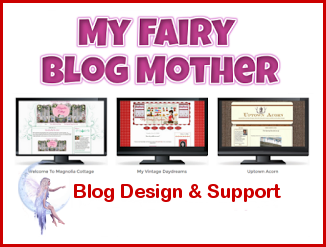 She sells it by word of mouth, a few craft events, Facebook and now through my blog. 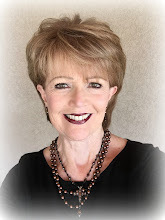 ~smile~ Yes, if you see something that you just cannot live without, let me know and I can sure connect you with Donya and she'll be more than glad to do business with you. I have put the prices (and they are so reasonable) on the ones pictured and most of them also have matching earrings and bracelets. And, I forgot to tell you that she grows a mean garden every summer and has lots of canned and frozen goodies for the months ahead. She definitely doesn't let the "grass grow under her feet." 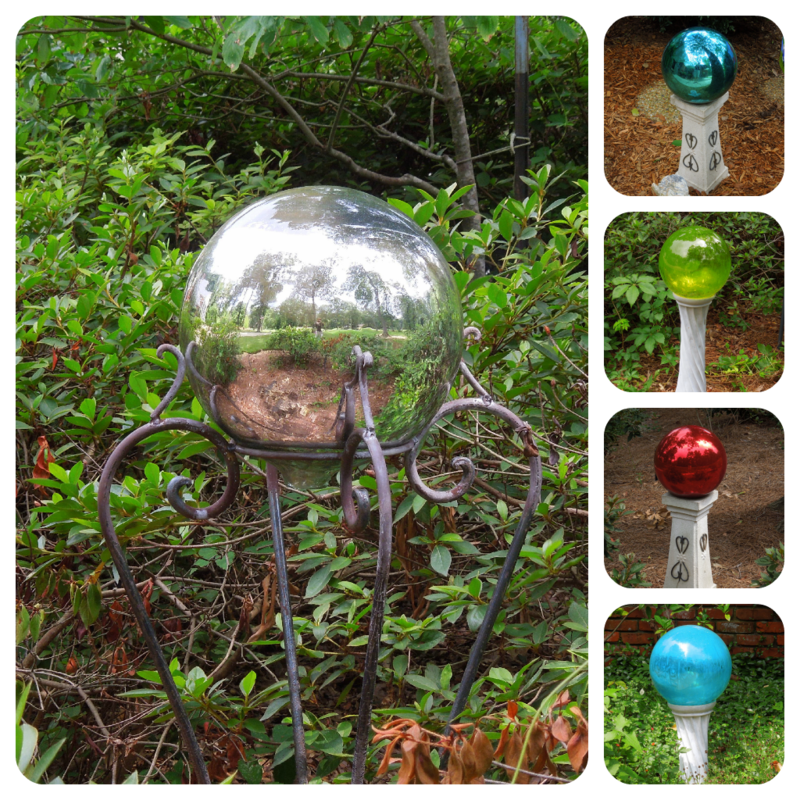 I may have to make a trip east just to enjoy your yard and those beautiful gazing balls. I can't believe how much your SIL looks like her pretty mother, and just as talented and I bet every bit as sweet. Enjoyed your random thoughts this morning. I love your gazing balls, especially the silver one you got for your birthday. I love how it reflects the beauty all around. 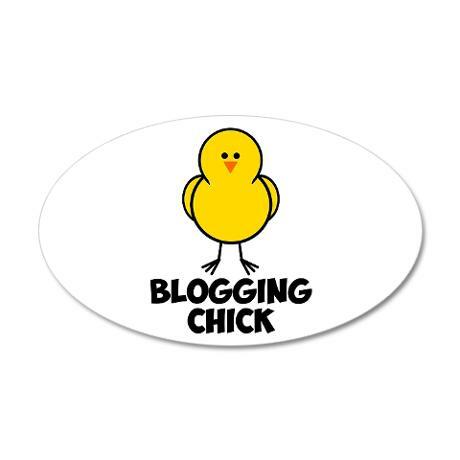 And your blogging chick decal is too cute. I linked over to Cafe Press to see what they had. I hadn't visited them in a long time. Thanks for reminding me. I didn't even know about those gazing balls. I think I have seen them a few times. Really love your new one. Donna is making some really pretty necklaces. 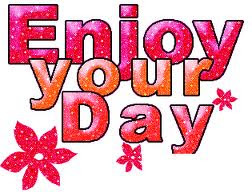 You have a great day too! ha! you and your blogging chick sticker are too cute. love the reflection in the big gazing ball picture - beautiful! your step-sister's jewelry is so pretty. what a talented girl. 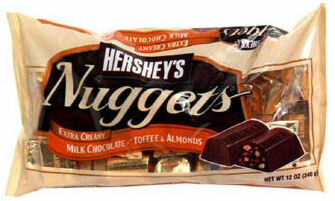 I love Hershey with nuggets. I am afraid I'd eat the entire bag in one sitting. I wish I had a talent of making things. What pretty jewelry!